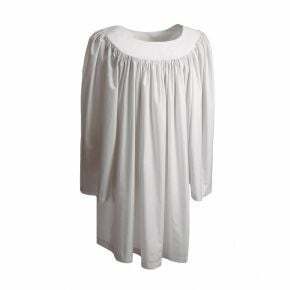 Choir tunics are a popular alternative to the traditional choir robe, eschewing a hood for a plain collared design. 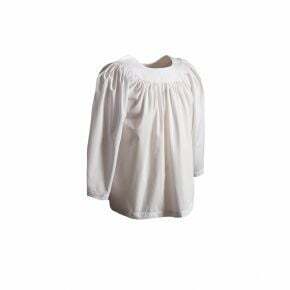 For churches seeking a simpler look, tunics are machine washable, they conceal your everyday clothing, and they're easy to put on. To complete the outfit, we offer high-quality rope cinctures that tie around your waist. At GraduationSource, our tunics and related accessories are available in many colors, styles, and sizes. Meanwhile, other congregations may prefer the look of a choir overlay, which is worn over a traditional choir robe. This long, flowing dress style is a favorite of choirs who enjoy a little flair. To help select the right overlays and tunics for your needs, we invite you to speak with our staff. Chat with us live, right from our website, or call (800) 352-6162 to learn more about our regalia. Thank you for visiting GraduationSource!